One of the main advantages of decision modeling standardization is a potential interchange of decision models between different DMN-compliant tools. DMN 1.1 includes a new interchange format – you may find its description in the Bruce Silver’s book “DMN Method and Style”. However, we still have not seen any example of a decision model presented in DMN XML and executed by different tools. This challenge is intended to at least partially close this gap. 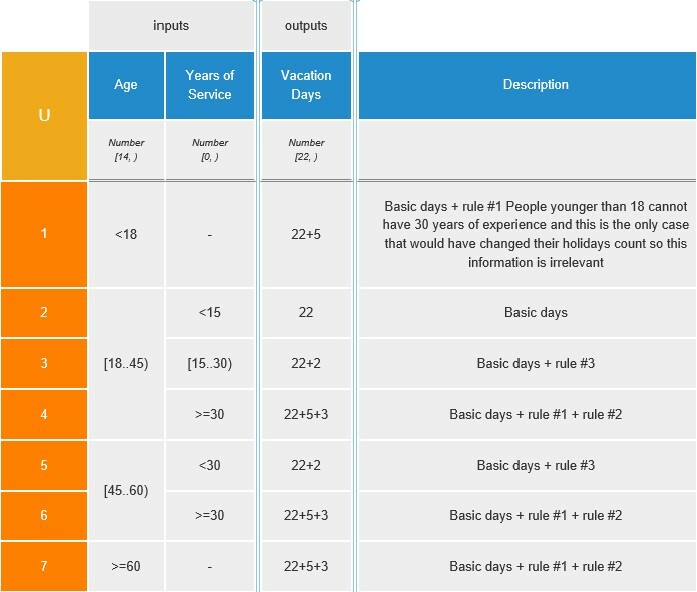 As an interchange target, we selected the simplest decision model “Vacation Days”, for which different vendors provided 19 (!) different implementations. Bruce Silver kindly provided the DMN XML representation based on the Trisotech’s solution. You may download this xml-file from here. We expect all interested vendors will provide their solutions showing how they can load and execute this XML-based decision model using their DMN-compliant tools. P.S. 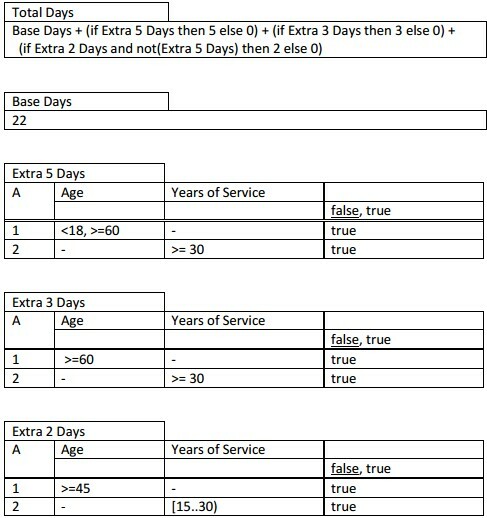 Bruce also provided another xml-file that is based on Gary Hallmark’s solution with a more complex FEEL formula and multiple decision tables. P.S.S. Now, when DMN 1.1 is officially available, you may download and try to convert the official ch11example.xml file.